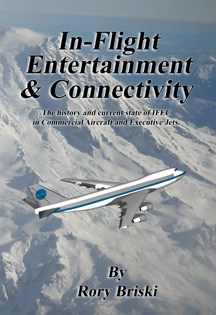 In-Flight Entertainment and Connectivity: A look at the past and present state of IFEC. Located in the Aerospace section of this web-site. Spiral Journey is about books with a purpose. The purpose being to help YOU, the reader, expand your horizons and become more than you are now. We are currently publishing books on Runes, "How-To" business books and Aerospace related topics. And there may be few books on their way that feature magic, elves, dragons and other fantasy fair. Please feel free to explore the site, buy a few books and relax.